We are offering apfc panel. 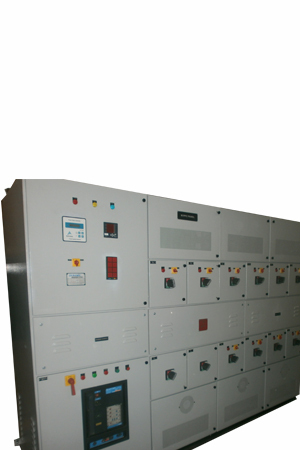 we offer APFC Panel up to 1000kva controlled thru thyristor cards or contactor based depends on nature of load. To overcome harmonic effects we use detuned reactors. We supply the panels with app mpp heavy duty capacitor banks as per characteristics of electrical loads. We use microprocessor based apfc relay up to 16 satges. As a special features you can monitor the apfc relay output on computer. This panel is of great use to minimize loss and wastage of energy and heavy penalties by electricity boards. Our apfc panels are fully integrated with suitable apfc relay, switchgears, and capacitor banks to offer a complete solution to effectively eradicate lagging power factor.